Ed Headrick's invention of the chain/basket combination for a target is the single most important factor in the growth of disc golf. This target configuration made it easy to identify when a player had holed out. It also made the game easier and thus more attractive to the casual player, than having to hole out by hitting a slender post/pole. Over the decades since its invention, the chain/basket targets have steadily evolved into disc "catching" devices. Players have come to feel they are entitled to make any shot that hits the chains. Pros walk off courses that have older generation chain/basket targets and complain to the TD (or anyone that will listen) that those targets ought to be upgraded to the newest, best disc "catching" device designs. The problem with chain/basket targets is not they don't "catch" enough. The problem is chain/basket targets catch too many throws that are *jammed* at them. Putting has become the easiest part of the game of disc golf due to the ever evolving design of chain/basket targets. The solution to whether a target has a playable chain configuration or not is not to keep upgrading chain configurations and designs such that the target "catches" even better than previous generations of chain/basket targets. The solution is to simply remove the chains, hanger and all. 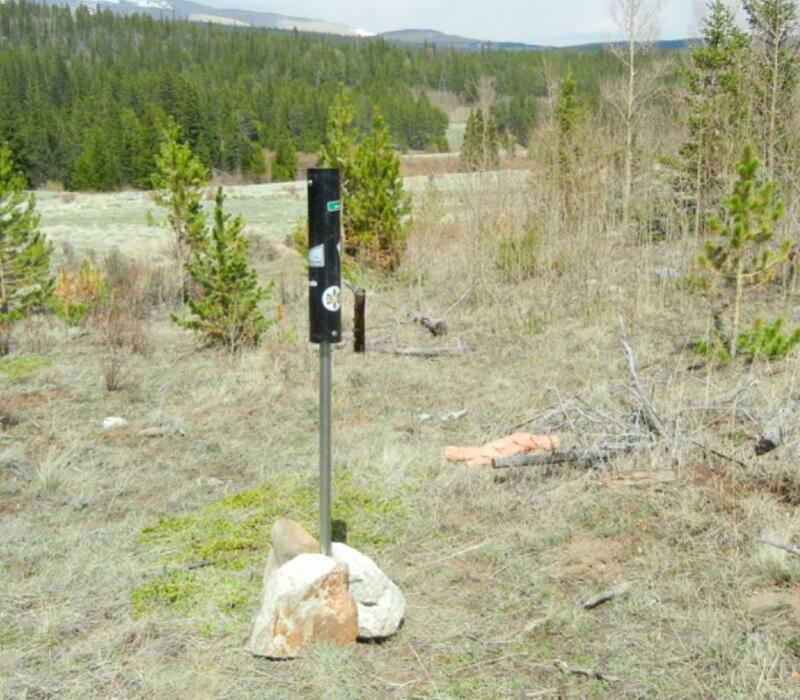 Yes, play on chainless disc golf targets that have just the center post and basket. This could be implemented on any course at zero cost to the course maintainers. Doing so instantly converts a pitch and put course into a true par 3 challenge. Removing the chains upgrades any decently difficult course to "gold" level and elevates any gold course to an epic challenge for even the best Pro's. Chainless disc golf would eliminate "jamming" and bring "putting," in every sense of the word, back to the game. Putting would require vastly improved touch, accuracy and decision making. But this will never happen because even the best players feel they are entitled to make every *jam* at the target. we wait 5 months for you to post and you do this! So many chains criss-crossing about, you can barely see through the contraption. We know those horizontal connector chains are there to improve "catching" by reducing blow-throughs of hard *jams*. But at the same time this design is increasing the amount of mass that the static massed disc has to push against to successfully hole out. Which rewards even harder *jamming. * Eventually the PDGA will be forced to approve a much heavier but same diameter "jammer," so the force of the throw can knock all those chains aside. When will the escalation end? It can end right now by evolving the game to chainless targets. Play the Lake Macbride course in Iowa, 4x4 post with a 24inch box framed by 2x4's or Fishing Bridge uses garbage cans where the only spit outs are when the can is full of trash. Bridget Bowl was using ribbons on trees until they could fund baskets. By the year 3000, I am sure that the targets will have changed, and they will probably be chainless. I don't care for Mach X's myself. Too many chains. It pushes soft putts out. I do think the Innova DISCatcher is a nice middle ground. I'm not so certain that making the baskets catch better is geared towards the top pros. They account for what, maybe 5% of the total disc golfing population? Does it benefit them to have baskets that catch more putts? Yes. Do they complain when the basket doesn't catch their putts? Yes. 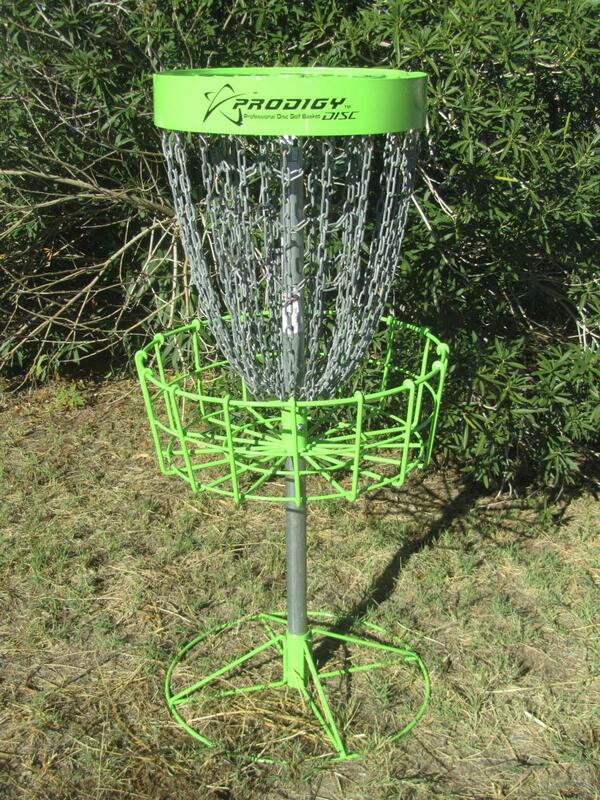 BUT, I think the reason disc golf basket manufacturers are doing it (in part) is to attract more players to the sport. Do you think that if we remove the chains from the baskets more people will play disc golf? I don't think so! In my opinion it would drive people away! It makes things infinitely harder when there are no chains. Discs are flying faster, discs are flying easier and baskets are catching more putts (although it's odd...I can't ever get that to work out so well). The game is more and more geared towards the amateur player and it's just part of it. I get where you're going with this argument and "how things were in the good old days," but I don't think it makes sense from a "grow the sport" perspective. For me I'd just like to see disc golf being more mainstream. We've finally got ourselves onto SportsCenter, discs are being sold at major retailers, there is live streaming coverage, our top pros are sponsored by some of the bigger shoe manufacturers... We're getting there but how cool would it be to have some college teams to the point where there are conferences and legitimate match-ups and not just one big college tournament every year? Maybe even high schools could get into it. Let's get the USDGC or last round of Worlds on TV...the list goes on. Another thing to think about is you're thinking about Kansas City in specific with regard to # of courses and how our tournaments end up turning people away. KC disc golf is massive and unlike most cities across America. I think there are still far more ball golf courses nationwide (I could be wrong) and far too many people out there who still don't even know what disc is or if they do know what it is and want to play in tournaments have to drive hours to play in one! I would also note that probably 50% of the people that I speak with in public about being a regular disc golf player have no idea what I'm talking about and that's in Kansas City! I guess to bring this full circle...more people playing equals more people bringing friends, relatives, etc. to the course and sharing the sport with them. If they come to a course and don't enjoy themselves...what is to bring them back??? I remember the first time I played disc golf and I shot 38 over par at Cliff Drive (poor course choice by my friends for my first course). If there were no chains on those baskets it would've been probably 100+ over par because unlike what Tracy said...I still believe putting to be the hardest part of the game. Would I have come back after shooting 100+ over par??? Likely not. Putting has become the easiest part of the game of disc golf due to the ever evolving design of chain/basket targets. Another vote for Discatchers...though, they don't sound as pretty ching-wise. Yes, "steady" Ed's target design was intended to solve the "did I hole out" controversy and to entice the masses. The basket solved the first issue and the chains solved the second. However, in my opinion, the chain structure was overkill from the beginning. <snip> I remember the first time I played disc golf and I shot 38 over par at Cliff Drive (poor course choice by my friends for my first course). If there were no chains on those baskets it would've been probably 100+ over par because unlike what Tracy said...I still believe putting to be the hardest part of the game. Would I have come back after shooting 100+ over par??? Likely not. Maybe you would have shot closer to par with chainless baskets? Maybe you would have considered the difficulty of the shot in front of you and instead of jamming it off the chains or air-mailing the shot altogether. You lay up, then drop in. But I imagine the bulk of your shots that day at Cliff were actually errant throws into the woods or OB (plus strokes), rather than a collection of 3 and 4 putts on each hole. Yes, getting from tee to basket is actually more challenging than putting into a chain/basket structure. Yeah ' grow the sport ' is not in my realm. Keep disc golf as a game, keep it free, keep it fun. Tracy must not have ever seen me putt.